Mystery Case Files: The Revenant's Hunt Collector's Edition is rated 2.9 out of 5 by 118. 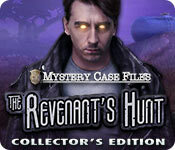 Rated 5 out of 5 by Cindy583 from Mystery Case Files: The Revenant's Hunt Collector's Edition Is a great game. I loved Mystery Case Files: The Revenant's Hunt Collector's Edition, Kicking the leaves was fun the puzzles were great and the story caught me off guard at first but once I got into I loved it and can't wait to replay it again. Can you stop the Revenant before it's too late? Rated 5 out of 5 by Majestyx12 from I found so many great things about this game I like the collectibles and morphs but I wanted more. For my tickle award I have the grappling chicken and the piggy bank crusher. My detail award goes to the corner piano. My worst detail award goes to the double decker trailer. The lock door master puzzle with the phone and coin insert where you quickly have to find symbols reminded me of a few puzzles from return to Ravenhearst. It's a fun puzzle. Also the master puzzle in Chapter 5 is fun. I liked this story but I hope they bring back the storyline with Dalimar and family. I wasn't crazy about the guitar hops, too cluttered. My favorite hops were the pumpkin patch from Chapter 4 and at the toy factory in chapter 5, the demented toys and the chalkboard. 6 Chapters + Bonus. In Arts- 4 artwork, 9 movies, 8 wallpapers and case report which is a journal. Replayable- 14 hops and 14 mini-games. Achievements. I want to recommend this game but I had some glitches. Rated 5 out of 5 by Mikkifraz from I'm glad I went against the mainstream! I agree that MCF does not exactly apply here, despite Epix's attempt. There were some aspects that reminded me of a time long ago, when MCF games were above and beyond any other HO games in existence. IMO, Epix made a valiant attempt to create the same type of challenging puzzles from previous MCF games and came up short. Nevertheless, the story line is engaging, the voice overs well done and the CE extras warrant my high rating. 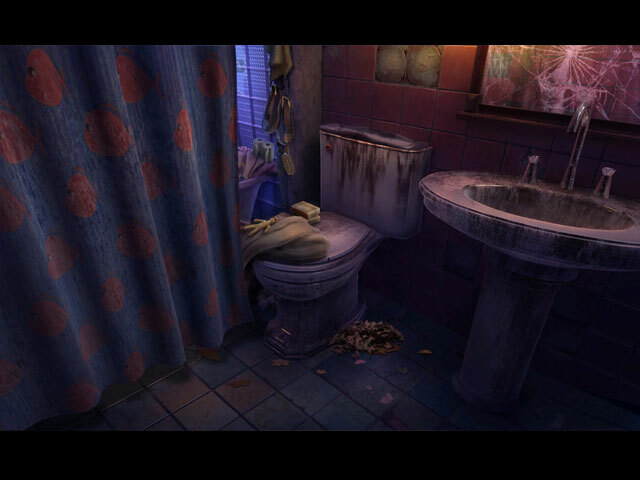 I believe that if this game did not have the Mystery Case Files heading, it would be well received. The humor, music, graphics and voice overs are excellent. It may not be a classic "MCF" game, but it is definitely a game worth playing. Have fun! Rated 5 out of 5 by pennmom36 from i'm afraid to write a title (must be the Revenant's curse) Well, third times a charm, and I couldn't be more confused Avondel is a small urban town in Vermont, so small you'd barely see it on a map, but Avondel has a very big problem! A supernatural problem! All those childhood urban legends about the Revenant's Hunt are true, and now the dead are returning to terrorize the living, but why? (just the right amount of detail, not too much, not too little, just right lol) It's fall, and the leaves in Vermont are falling. Since this game is all about childhood legends returning when you least expect it, MCF has given us some good childhood memories to apply, when we least expect it, kicking piles of leaves of course! Throughout this Collector's Edition, you get to kick 10 different piles of leaves, as you search for 16 Morphing Objects (which is a feature I DO expect from MCF, but is surprising considering Eipic rarely offers Morps outside of the HOP's. There are 2 small icons underneath the inventory bar, to help you leep track of the CE bling. There are also 9 collectible Lore Cards that are stored neatly in your file box for easy reference, with various fun facts about the history of how the Reverant's Hunt came to fruition. (oops, did I say the word history?) The Hidden Object Scenes are varied with different types such as Interactive List finds, Keywords, and Interactive Progressive Silhouetted Shape finds, Some of the scenes are repeated in the same location, which is a feature I really don't like, however, most of the HOP's have a hidden piece of Alvin's Letter, to collect and eventually read in it's entirity within your journal. The Mini Games are really good, but aren't really what we've come to expect from previous MCF games. The puzzles are much easier to solve, even the Super Puzzles, have become, not so super. Below are brief descriptions of some of the games you'll encounter during the demo: 1) Make all dials point to the circled numbers. Select the valve you want to move to, then select the lever to choose which way to move those dials. 2) Move the colored squares to match the colors on Malcolm's watch by selecting and dragging squares to move them. Matching colored squares connect when placed next to each other. 3) Recreate the flag by swapping flag sections. 4) Select the tiles according to the clue on the emergency light. 5) Insert the coin into the slot, then select the same objects that are shown briefly, within the allotted time frame. 6) Place the coin and then select and drag items shown in the correct order as shown. 7) Use the phone dial to enter the correct number you discovered in step #6, and repeate the same process over 3 times. 8) Memorize the pattern on the tuner then select the guitar's parts in the same order shown. 9) shoot down the spaceships by selecting the red button when the spaceships cross over the target. 10) Create a mirror image on the right side of the screen by selecting the colored button you want to use and a screen tile to color it in. 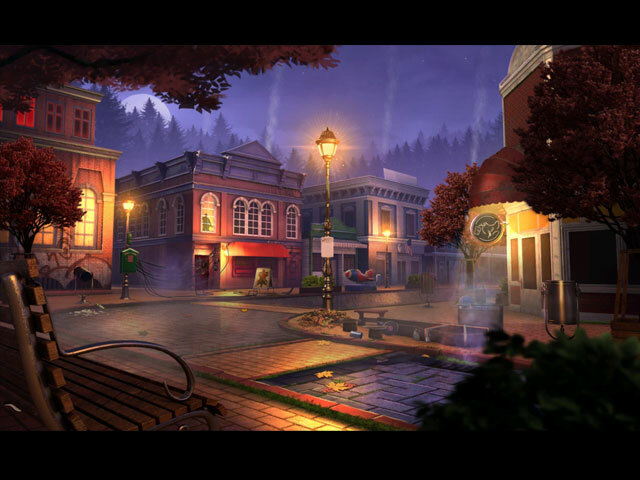 MYSTERY CASE FILES GAMES AVAILABLE Title***Collector's Edition Release Date***Average Rating 1-Huntsville SE only (November 14-2005) 3.7 2-Prime Suspects SE only (April 6-2006) 3.8 3-Ravenhearst SE only (December 15-2006) 3.6 4-Madame Fate SE only (November 7, 2007) 3.9 5-Return To Ravenhearst SE only (November 26-2008) 4.2 6-Dire Grove (November 25-2009) 4.7 7-13th Skull (November 25-2010) 4.4 8-Escape From Ravenhearst (November 23-2011) 3.6 9-Shadow Lake (November 20-2012) 2.6 10-Fate's Carnival (November 26-2013) 4.4 11-Dire Grove, Sacred Grove (November 25-2014) 3.6 12-Key To Ravenhearst (October 27-2015) 3.6 13-Ravenhearst Unlocked (November 24-2015) 3.5 14-Broken Hour (November 22-2016) 3.5 15-The Black Veil (March 23-2017) 3.0 16-The Revenant's Hunt (November 21-2017) n/a This Collector's Edition has 9 Movie Videos, 8 Wallpapers, Artwork, Case Report Files, Pieces of Alvin's Letter in the HOP's, 9 Music Videos, 14 re-playable Hidden Object Scenes, 14 re-playable Mini Games, 20 Achievements to earn, 9 Collectible Lore Cards, 16 Morphing Objects, 10 Piles of Leaves to kick, a built in Strategy Guide and a Bonus Chapter, enjoy the Hunt! Rated 5 out of 5 by Italia47 from I can understand why this is a Big Fish Editor's Choice Game! Awesome! I respect everyone's views on this game but for my tastes, I absolutely love the gameplay of MCF:The Revenant's Hunt CE version. This is actually my favorite now of the MCF's series. I'm halfway through the main game and there has not been a boring moment yet. The flow, for me, is perfect! The tasks make a whole lot of sense! This is one quality game and EIPIX finally came through! The graphics are A+, the music is great not annoying at all; the puzzles and mini-games are thought-provoking, so many tasks to tackle. Big Fish and EIPIX, you guys deserve a pat on your backs. Very intelligent game, great storyline, and the voiceovers are good. There was one voiceover though that didn't seem to fit the character but no big deal--I'm really enjoying myself and that is what really matters to me! EIPIX you finally heard us and you made a lot of improvements. Bravo! Very intelligent game, strategy is right on! My kind of game! I highly recommend it! If you want to learn about the storyline please read other reviewers' expert commentaries. (That ain't my thang!) I suggest you try the demo but even that doesn't do real justice to the game. I'm glad I purchased it! Rated 5 out of 5 by gamergirl675 from Best MCF since Dire Grove! I misjudged this game based on demo. I almost didn't get it. That would have been a mistake. Take your time, read all the journal entries, invest yourself in the story. My only complaint is a personal preference... I miss the live actor videos... they are my favorite. Lots of puzzles including multiple sections that MCF is famous for... and a variety of difficulty to please everyone. Some hard, others easy, and it's possible to skip only specific parts of the complex puzzles so you don't have to skip the entire thing. Length of game is hard for me to judge since I leave it open and take breaks but overall I spent 10 hours in game. The length of the bonus chapter was super short and I'm not sure how it fits with the main game. But the girl in the beginning was done excellently. Achievements were fun, some unique to this game, Lots of extras such as morphing objects, leaves to kick, and cards to find in the main game as well as letter pieces to find in the HOS. I haven't posted a review in a long time and haven't been a fan of recent MCF but this one is really GOOD and well worth playing. Wish there were more like it. Rated 5 out of 5 by Demonduck from I'll Be Playing This Again! The story line has been covered by other reviews, so I won't go into it deeply, but I have to say it was captivating and kept me playing because I had to know how it ended! And I wasn't disappointed! All of the extras that go along with the CE version, the collectibles and morphs, weren't easy to find. In fact I have to play again just to try and find all of the ones I missed ... which was a lot and I truly looked hard at every scene! The actual game length was good, but I thought the bonus chapter was rather short. I liked most of the puzzles and hops and didn't skip them but I did have to peek at the strategy guide a couple of times to figure out what I was supposed to do. Another thing that surprised me was the music! I actually let it play the entire game and I almost always turn it off within the first 5 minutes. The music wasn't repetitious in a way that gets annoying, and flowed along with the scene action nicely! You're going to want to own this one! Rated 5 out of 5 by timothya from Lovely Puzzles Superb production values in this entry, the best I've ever seen. Graphics spectacular, voice acting excellent, and the sly humor so necessary to this franchise is definitely there. And the puzzles, oh, yes, the glorious puzzles... The writing is the only thing keeping it from a firm five stars; I'd give it a strong four and a half, though. We are impressed with the Queen of England's intelligence, since it led her to deposit The Detective in a small, unexpectedly deserted Vermont town from mid-air while the first body is still warm. Her interest in the Revenant likely stems from the fact that England is composed exclusively of spooky abandoned mansions on grim moors populated by ghosts out for blood revenge, so, an institutional interest. Never mind. Good mystery, nice reveals. The premise is no shakier than most of the MCF series and frankly, we don't care. The "museum" is no more unlikely than the basement of Ravenhearst Manor, after all. HO scenes are sufficient and the puzzles are wonderful, just Rube Goldberg-ian enough to capture the spirit of the series. Game is a little short for all that but delicious. Good and spooky value on the Bonus chapter as well. The MCF games are very much up-and-down in quality; sometimes they attempt too much, sometimes too little. I'd place this one in the top 5, easily. Rated 5 out of 5 by 1955raven from REVENANT'S HUNT A REMARKABLE GAME ! 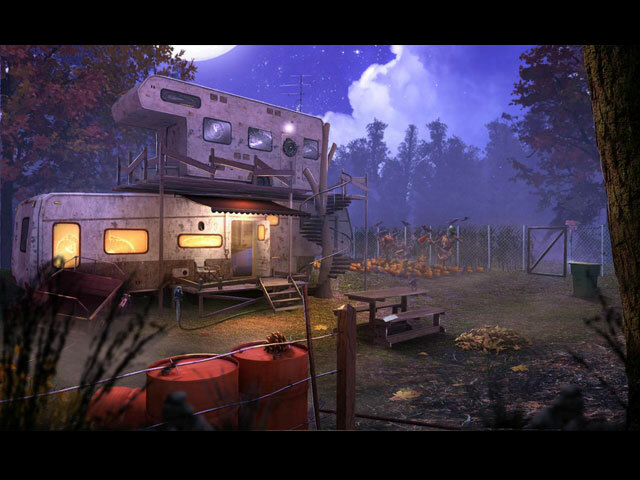 MYSTERY CASE FILES HAS CREATED ANOTHER GREAT STORY! PUZZLES,SOUND, SCENES ETC.MY FAVORITE SERIES FROM THE BEGINNING! THESE GAMES ARE THE REASON I DO HIDDEN OBJECT GAMES. LOOKING FORWARD TO THE NEXT ONE!